Well maintained home in desirable neighborhood, close to shopping, schools, restaurants and Dyess! 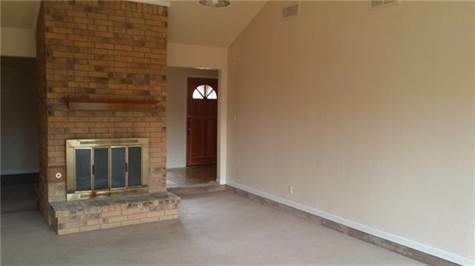 Spacious living room with a 2 sided fireplace, extra room with a wet bar, large bedrooms, master bath has his and her sinks and walk in closets. This is a must see! !